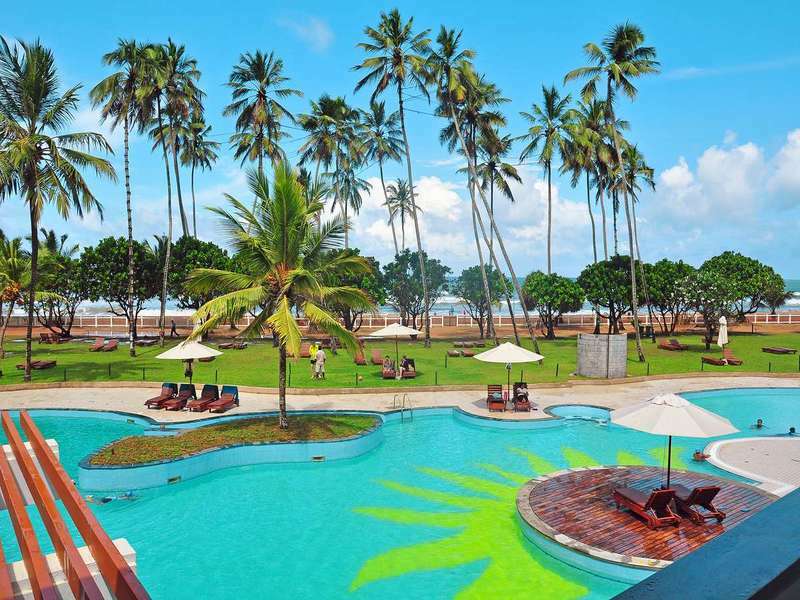 Offering beachfront rooms with private balconies, Turyaa Kalutara boasts garden landscapes, an outdoor pool with bar and fitness centre. It offers free parking and 4 dining options. Free Wi-Fi is available in public areas. The spacious and air-conditioned rooms feature classic wood furnishings and cable TV. For convenience, a safe and minibar are provided. En suite bathrooms have hot/cold showers and a hairdryer. Turyaa Kalutara is an hour’s drive from Colombo City and 6 km from the town centre. The international airport is a 2-hour drive from the resort. Price is per person in Double Deluxe Sea View room for 7 nights/ 8 days 17.11.2018-20.12.2018 on bed and breakfast basis, including round trip transfer.